I’ve just read the unclassified version of the U.S. Intelligence community’s report on “Russian hacking,” entitled, “Background to ‘Assessing Russian Activities and Intentions in Recent US Elections’: The Analytic Process and Cyber Incident Attribution.” A pdf version is available online, and I hope my readers will have a look at it. It is almost unbelievably lame. The document begins with the assurance that it is an unclassified version of a “highly classified assessment.” This, of course, begs the question of how some of this “highly classified” information was leaked to the press. I personally think this is the most important take-away from the whole “Russian hacking” flap. Our intelligence community in general and the CIA in particular are still infested with leakers who apparently had their fingers crossed behind their backs when they swore to protect this “highly classified information.” Any potential human intelligence source who seriously expects them to protect his or her identity must have a death wish. Russian President Vladimir Putin ordered an influence campaign in 2016 aimed at the US presidential election. Russia’s goals were to undermine public faith in the US democratic process, denigrate Secretary Clinton, and harm her electability and potential presidency. We further assess Putin and the Russian Government developed a clear preference for President-elect Trump. If the goal of the document was really to inform our political leaders, it’s odd that no attempt was made to put the above in context. By “context” I mean the “clear preferences” of other government leaders. For example, French President Hollande revealed his “clear preference” by announcing that Trump gave him a “retching feeling.” Then British Prime Minister David Cameron publicly announced his opinion that Trump is “divisive, stupid, and wrong.” The British Parliament seriously debated banning Trump from travel to the UK because of his “hate speech.” The President of the EU Parliament, Martin Schulz, declared that “Trump is a problem for the whole world.” Germany’s Economy Minister, Sigmar Gabriel, called Trump a threat, and German Chancellor Angela Merkel openly praised Hillary Clinton. Mexico’s President Nieto didn’t stick at violating Godwin’s Law, comparing Trump to Hitler. Apparently, these expressions of “clear preferences” by other government leaders are not considered a threat by the people who run our intelligence agencies, because their “clear preferences” were for the correct candidate. In short, then, such a preference was only deemed objectionable if it happened to be for Trump. As far as actual “hacking” is concerned, the content of the document is of the flimsiest. Basically, it was supposed to have consisted of “intrusions into US state and local electoral boards,” which were apparently conducted for the purpose of collecting information and had no impact whatsoever on the outcome of the election. In addition to that, as we all know, the Russians were supposed to have gained access to the DNC emails, and have passed damaging information therein to WikiLeaks. According to the document, “Disclosures through WikiLeaks did not contain any evident forgeries.” In other words, the “hacked” information was true, and should have been reported by our own media, but wasn’t, because it didn’t fit the narrative. Apparently the message here is that the U.S. voting public should have been “protected” from the truth, but was “unfairly” subjected to it by those nefarious Russians. Beyond that we have the assurances of Julian Assange and WikiLeaks that the information involved was so poorly protected that it could have been hacked by a 14-year old; no Russian meddling was necessary. Given Hillary’s adventures with classified State Department information on her personal server, I suspect there’s little reason to doubt the WikiLeaks version. I note in passing that the “progressive Left” considered Assange such a hero that they saw fit to release a movie about his exploits (Underground; The Julian Assange Story – 2012), and another in which he played a major role (The Fifth Estate – 2013). No doubt they’re feeling very ill-used at this point. They never suspected that Assange would be capable of divulging information that didn’t fit the “correct” narrative. In any case, paltry as it is, that’s the extent of the actual “hacking” alluded to in the document. Reading on, we finally discover the identity of the “real culprit.” It turns out to be none other than RT America, a Russian funded news channel. Much of the document proper and a whole, five page appendix are devoted almost entirely to RT! We shudder to learn that “RT’s coverage of Secretary Clinton throughout the US presidential campaign was consistently negative.” It devoted extensive coverage to the “Occupy Wall Street” movement, that known bastion of right wing conservatives and Trump deplorables. It dared to mention the existence of election fraud and voting machine vulnerabilities in the U.S. Even more damning is the document’s assurance that RT ran “anti-fracking programming highlighting environmental issues and the impacts on public health.” As we all know, Hillary and the “progressive Left” have always been “yuge” supporters of fracking. NOT!!! No kidding, dear reader, the meat of this “assessment” is nothing but a rant about RT’s vile criminal act of exercising its right to freedom of speech. When I was done reading it I didn’t know whether to laugh or cry. The entire mainstream media in the U.S. was utterly in the tank for Hillary from the start. I have never come across a single article about Trump therein that couldn’t be characterized as “negative.” The same can be said of another “state-funded news channel,” the BBC. There was a negative article about Trump on the BBC website every single day I happened to look for the last three months before the election. The same can certainly also be said of both the English and German versions of the German media. I follow it daily, and never found anything therein about Trump that could not be characterized as “negative.” What can I say? To outweigh all that, RT America must be a more effective propaganda tool than anything ever heard of since the days of Barnum and Bailey! Hitler himself would have been green with envy! Apparently this is the sort of drivel we’ve been getting for the $80 billion we invest in our intelligence services every year. It would seem they’ve degenerated into hidebound bureaucracies that are no longer even capable of being embarrassed by the transparent stupidity of such “highly classified” assessments. It could hardly hurt to start over from scratch. We might ask the Russians for help with that. I suggest we take the 1918 Cheka as a model. I’ve heard that their methods were somewhat harsh, but by all accounts they were able to collect intelligence that was actually worthy of the name, and at bargain basement prices. 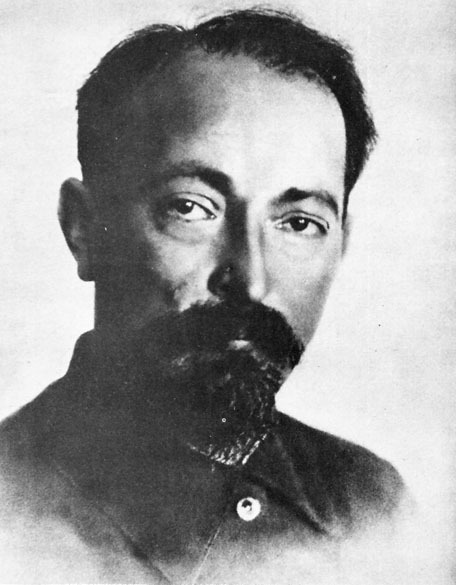 We could use a man like Felix Dzerzhinsky again! Someone should tell Trump. UPDATE: Mild-mannered Czech physicist Lubos Motl has a similar take at The Reference Frame. Rather than leave my readers in suspense, let me just say it up front. If any of the “little people” working for the government, whether as feds or contractors, used a private computer for official business the way Hillary Clinton did, they would be fired. If they used it to store and send classified information, a lot worse might happen to them. By the letter of the law, they would certainly be punishable with heavy fines and/or jail time. It is one of the more amusing and/or disturbing phenomena of the early 21st century, depending on your point of view, that such a person is even being seriously considered as a candidate for President of the United States. The latest story about the subject on Foxnews is typical of the rampant disinformation being spread on the subject in the mass media. Under the headline, “New batch of Clinton emails released, 84 now marked ‘classified’,” it continues with the byline, “State Department release 551 documents from former Secretary of State Hillary Clinton’s email account, including 84 that are considered to be classified today, but not at the time they were initially sent.” Is it really too much to ask that these people occasionally consult, at the very least, some new hire who’s actually taken the elementary training course in security typically required for anyone who routinely handles sensitive information? One can never assume information is unclassified because it has not been officially declared and marked classified. If there is any doubt on the matter, it cannot simply be blown out to the general public without a second thought. It must be submitted to a competent authority for a decision on whether and at what level it should be protected. Regardless of whether it is classified or otherwise sensitive or not, it is illegal to transfer official government information to a private computer. Let me explain how this works. There are two major types of classified information; that which is protected by executive order, and that which is protected by statute. Information protected by executive order is known as National Security Information, or NSI. Each President typically releases an order early in his term with details on how such information is to be protected, for how long, etc. The latest such order, E.O. 13526, was issued by President Obama in 2009. Other major types of information, dealing with such things as the design and use of nuclear weapons and the production of special nuclear material such as enriched uranium and plutonium, are classified by statute, namely, the Atomic Energy Act of 1954, as amended. The most sensitive category of this type of information is known as Restricted Data, or RD. The Atomic Energy Act established another category of such information pertaining mainly to the military use of and yield of nuclear weapons, known as Formerly Restricted Data, or FRD. There is also a third, seldom encountered category, dealing mainly with foreign intelligence information, known as Transclassified Foreign Nuclear Information, or TFNI. The levels of classification, from top to bottom in order of sensitivity, are Top Secret, Secret and Confidential. The categories, from top to bottom in order of sensitivity, are RD, FRD, TFNI, and NSI. Information that is protected by statute, such as RD, is “born classified.” It is under the purview of the Department of Energy (DOE). If there is any doubt whether it must be protected or not, it must be submitted to a “Derivative Classifier,” who consults classification guides within his/her area of competence to decide whether it is classified or not, and at what level. If the guides don’t cover it, it may be submitted to one of the few individuals in the country with Original Classification authority for a determination. RD is never automatically declassified, nor must a date or event be set for its eventual declassification. RD information may occasionally be declassified by proper authority. In that case, another specially trained individual, known as a Derivative Declassifier, is appointed to decide whether documents are no longer classified, or may be classified at a lower level. Note the important distinction between information and documents. 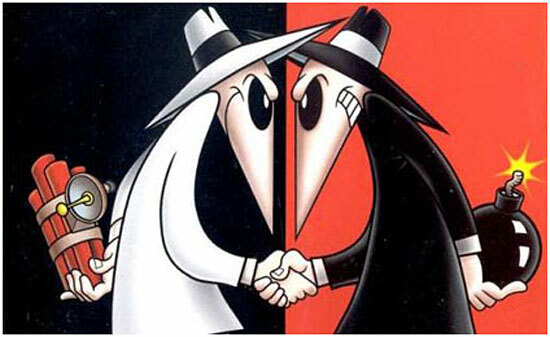 In some cases declassifiers are authorized to act alone, and in others declassification decisions must be made by a declassifier and another classifier or declassifier acting together. NSI is not “born classified.” However, it may not be automatically assumed unclassified, either. Each government agency has authority over its own NSI. Each typically has the equivalent of DOE’s Original Classifiers, Derivative Classifiers, and classification guides. Unlike RD, a date or event must be set for declassification of NSI. Under the current executive order, declassification must occur within 25 years, except under special circumstances. Currently, NSI documents may not be automatically declassified, even when the declassification date has passed or the declassification event has happened. They must first be reviewed by an authorized declassifier. Other than classified information, there are other types of information which must be protected, and to which legal penalties apply if released deliberately or through negligence. These include Official Use Only, which must meet one of the nine exemptions to the Freedom of Information Act, or FOIA, Unclassified Controlled Nuclear Information, or UCNI (DOE), Safeguards Information (NRC), Protected Critical Infrastructure Information or PCII (DHS), etc. It is illegal, and the lowliest employee of the federal government should know it’s illegal, to have any of these types of information on a private computer. So much for a very elementary description of the classification process in the US. Some of the above is relevant to the case of Hillary Clinton, and some not. However, the fact that she simply ignored all the legal and administrative requirements regarding the handling and protection of sensitive information demonstrates that she is incompetent to be a federal mailroom employee, far less President of the United States. It is sad but hardly surprising in this day and age that most journalists and media organizations have such an abject lack of any sense of a responsibility to inform the public that they ignore all these facts. Their main function, as far as they are concerned, is to defeat the hated and despised conservative outgroup. As a result we find them circling the wagons around her, determined to suppress any hint of the real gravity and implications of her incompetence as Secretary of State. This should provide us with a rather clear indication of what they are talking about when they speak of the “moral compass” referred to in my previous post. As my readers know, I don’t believe in the existence of objective moral truths. However, I am human. As a result, I experience moral emotions. When I contemplate the fact that Hillary Clinton is very likely to become President of my country, I experience a moral emotion that is familiar to all of us. Shame. We are fortunate to be living in an age in which historical source material is becoming increasingly abundant and difficult to destroy, because we are also living in an age that has been prolific in the rearrangement of historical fact to suit ideological ends. I just ran across yet another data point demonstrating the process whereby the myths created in the process are transmogrified into “historical fact.” It turned up on Atomic Insights, a blog penned by nuclear power advocate Rod Adams. On the other side of the issue, Iranians date their hostility to America to 1953, when the United States CIA took actions to stimulate the overthrow of the democratically elected leader named Mohammad Mosaddeqh. Our main beef with him was the fact that he had decided that the oil and gas under his country actually belonged to the people, not to the companies that had arranged some sweet deals during a colonial era. When he moved to nationalize the oil reserves, the UK and the US took action to install a dictator who was more compliant with our “interests.” That part of the controversy is pretty well known and discussed. In fact, that part of the controversy isn’t discussed nearly enough. If it were, this version of “history” would have been relegated to the garbage heap long ago. I wrote a series of articles debunking it some time ago that can be read here, here and here. The “official” version of this particular historical fairy tale, entitled All the Shah’s Men, was written by New York Times reporter Steven Kinzer, apparently in the proud tradition of Walter Duranty’s glowing accounts of Stalin’s Russia. Kinzer’s “history” was based largely on a CIA source document, which is available to anyone on the web. Evidently he assumed no one would actually bother to read it and the other easily available source material, because the idea that they “prove” the great Mossadegh Coup myth is palpably absurd. The CIA activities described were so dilettantish they wouldn’t have seriously undermined the flimsiest of banana republics, not to mention Iran. On the very day that the coup happened the supposedly miraculously effective CIA plotters in Tehran, convinced that the coup had failed, sat meekly on the sidelines, taking no significant role in directing events whatsoever. To believe the claim that their actions were undertaken solely to mollify evil US and UK oil and gas cartels it is necessary to willfully blind ones self to the possibility that Communist aggression ever actually existed or that the US government ever honestly believed that it was a threat at the time. Of course, I cannot prove that I am any less prone to historical distortions than Mr. Kinzer et. al. However, I can suggest that anyone interested in the facts read the source material. It speaks for itself. I suspect that anyone reading it with an open mind will conclude that his yarn about the mind boggling effectiveness of the great CIA plot and the reasons it happened are baloney. That hasn’t prevented these myths from gelling into historical “facts.” Rob’s blog is hardly the only place you’ll find similar disinformation. The more a given myth serves ideological ends, the faster the gelling process proceeds. In this case it was doubly effective. It stroked the egos of the CIA supersleuths who had no trouble convincing themselves that they really had “killed seven at one blow,” and it also had just the right “anti-imperialist” touch for the ideologues of the left. But heaven forefend that you should take my word for it. Look for yourself. One could cite many other similar instances of rearranging history. For example, there’s the old southern schoolmarm’s yarn about how the Civil War wasn’t about slavery, the anti-nuclear activists’ yarn about how the atomic bomb had nothing to do with ending World War II, the Nazi yarn about how the German army lost World War I because it was “stabbed in the back” by revolutionaries on the home front, and so on and so on. One often hears the old bromide that “history is written by the victors” from the creators of these fantasies. That may be, but in all the cases cited above, and many more like them, there is no lack of source material out there for anyone interested enough to dig it up and read it. In the case of the Civil War, for example, it reveals that common people in the north thought it was about slavery, common people in the south thought it was about slavery, foreign observers uniformly concurred it was about slavery, and southern politicians made no bones whatsoever about the fact that it was about slavery in their declarations of secession. Under the circumstances, based on the unanimous testimony of the people who actually experienced it, I tend to believe the Civil War was, in fact, about slavery. If you make the effort to “go to the source” with an open mind, you’re liable to find a lot more fossilized historical “facts” that aren’t quite what they seem. The Washington Post’s editors were singularly unfortunate in their choice of weeks to publish their “Top Secret America” series, as it was quickly upstaged by Wikileaks. It’s just as well, as the content was pretty lame, and probably elicited many a sardonic scoff from the folks who work for the NSA and CIA. I’m certainly receptive to the serie’s central theme that “The government has built a national security and intelligence system so big, so complex and so hard to manage, no one really knows if it’s fulfilling its most important purpose: keeping its citizens safe.” Unfortunately, the articles are written in the time-honored “expose” style with its insinuations that the reader is being let in on “confidential” information that, like the dead tree media itself, has become an anachronism since the invention of the Internet. Liberty Crossing tries hard to hide from view. But in the winter, leafless trees can’t conceal a mountain of cement and windows the size of five Wal-Mart stores stacked on top of one another rising behind a grassy berm. One step too close without the right badge, and men in black jump out of nowhere, guns at the ready. at his initial briefing, he was escorted into a tiny, dark room, seated at a small table and told he couldn’t take notes. Program after program began flashing on a screen, he said, until he yelled ”Stop!” in frustration. As anyone with even a passing familiarity with classified information would have been aware, he had merely to ask for a classified notebook. Such a “Super User” would surely have known this. I’ve been to many classified briefings, but never in a room I would consider “tiny.” Maybe he works for the wrong agency? As for the darkness, he probably wouldn’t have committed a security infraction by switching on the lights. He might not have seen the Powerpoint slides as clearly, though. We are treated to more of the same in the remaining two articles. The next in the series, entitled “National Security Inc.,” focuses on the supposedly baleful influence of the many contractors supporting the nation’s Intelligence programs, all of them apparently just waiting for the opportunity to betray their country to promote the interests of the evil corporations that employ them. The authors never get around to explaining exactly why it would be in the best interests of the shareholders of these companies to supply government with a stream of traitors, nor does it attempt to enlighten us concerning the reasons that virtually all of the real traitors employed by federal intelligence agencies who have been exposed in recent years have not been contractors, but federal employees. I happen to be a contractor with a clearance myself, but it seems to me these questions are germane to the points at issue. The authors claim that contractors are more expensive than federal employees. However, if that’s true, it’s only true on the basis of a head-to-head salary comparison. It doesn’t count the generous pensions and health care benefits that feds get when they retire, all of which must be paid for by the taxpayers in the same coin. It also doesn’t count the fact that, while feds who don’t pull their weight are almost impossible to fire, contractors can be and are dismissed at a word from the federal officials who support them. The author’s revelation that the firms providing contractors to government are actually in business to make a profit may be shocking to the editors of the Washington Post, but it hardly proves that contractors are more expensive or less effective than federal employees at performing their jobs. Even the manhole cover between two low-slung buildings is not just a manhole cover. Surrounded by concrete cylinders, it is an access point to a government cable. “TS/SCI” whispers an official, the abbreviations for “top secret” and “sensitive compartmented information” – and that means few people are allowed to know what information the cable transmits. I can spot them. They have a haunted look, like they’re afraid someone is going to ask them something abot themselves. Guess I’d better take a better look in the mirror to see if I can pick out that “haunted look.” Stuff like this does not leave one with a high opinion of the intellectual calibre of the rubes who still read the Wapo. That’s not to say the author’s should loose heart. They may score a Pulitzer yet. After all, they’ve been awarded for stuff that was a lot worse. UPDATE: From Stewart Baker at The Volokh Conspiracy, “If there’s no big story to write, and the database puts readers to sleep, why did the Post spend scarce resources on these things at a time when newspapers are in desperate shape?” According to his theory, it was part of a complicated scheme to carve out market share. It seems to me Stewart is over-analyzing this. I suspect it’s more likely the editors at the WaPo are simply dinosaurs who haven’t noticed the meteor has landed.